Panache Booking is thrilled to announce that Mac DeMarco, Thee Oh Sees, Fuzz, White Fence, Krakatau & Heaters will all be playing at one of our favorite festivals Austin Psych Fest. 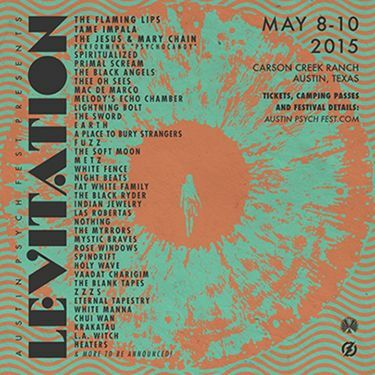 APF announced their line up today along with their new name Levitation. Weekend passes available here. See you there!